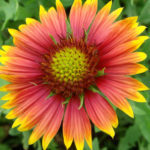 Gaillardia pulchella a cheery, brightly colored annual, with branching, hairy and upright stem, up to 2 feet (60 cm) tall. The leaves are alternate, mostly basal, up to 3.2 inches (8 cm) long, with edges smooth to coarsely toothed or lobed. The pinwheel, daisy-like inflorescences are vividly colored with red, orange and yellow, up to 2.4 inches (6 cm) in diameter. The central disc florets of the flower head tend to be more red-violet, with the outer ray florets being yellow. It blooms practically year-round in some areas, but more typically in summer to early fall. The seed is an achene. Sow seeds into a well-draining soil and cover slightly. Although drought tolerant once established, care of Blanket Flowers includes keeping the seeds moist until germination occurs. 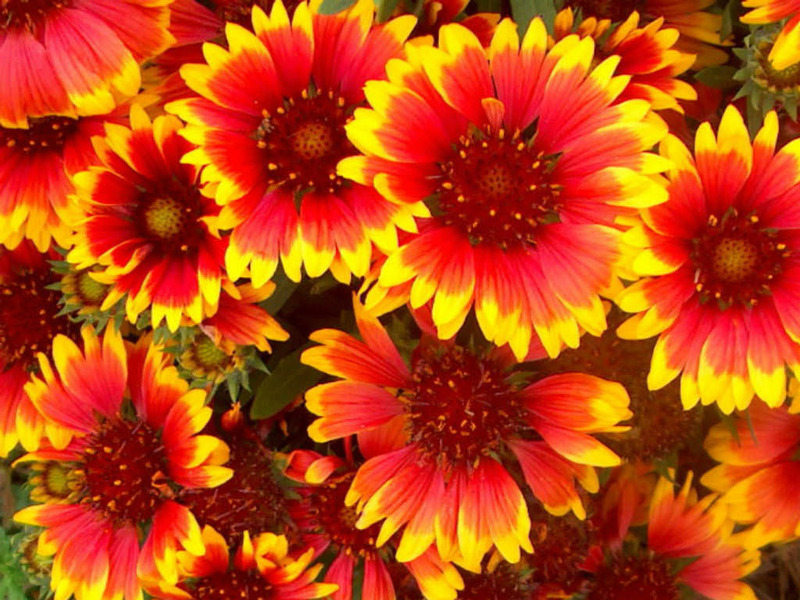 Once established, occasional watering should become a part of Blanket Flowers’ care. This assists in a longer display of the colorful blooms. 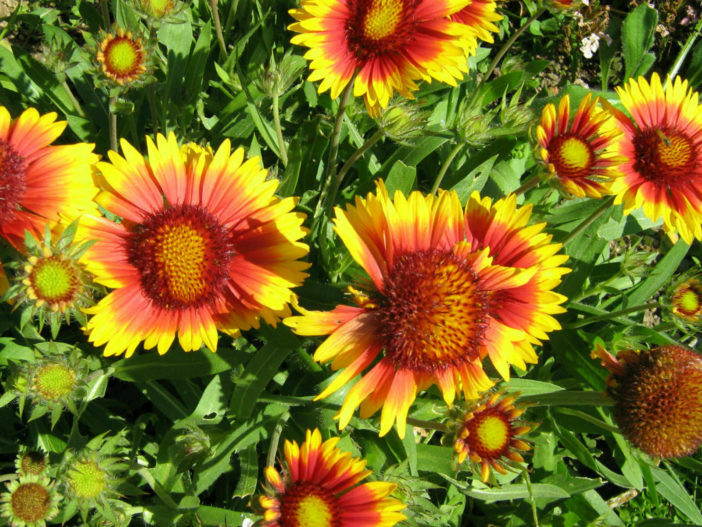 Care of Gaillardias includes planting in a full sun location to keep this fast growing specimen happy. 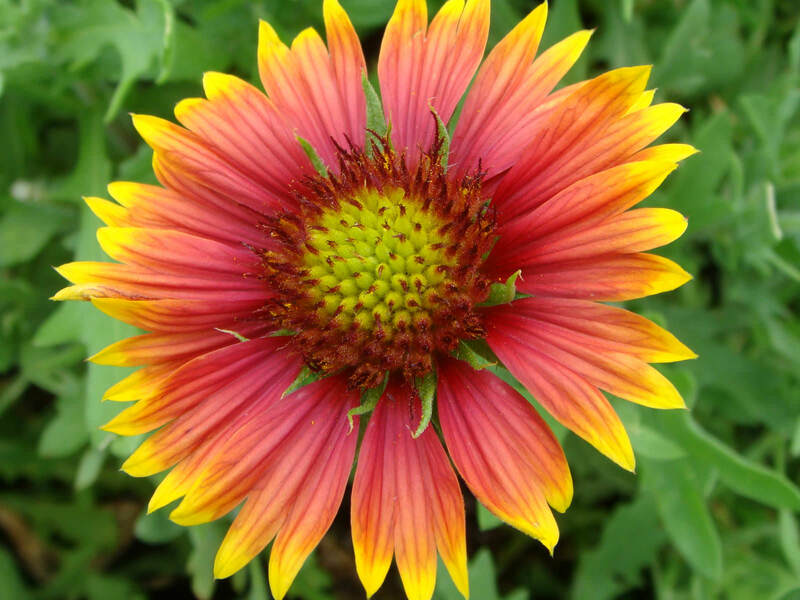 As a native plant to the central United States and Mexico, Blanket Flower is a heat loving flower that attracts butterflies. 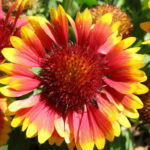 Growing Blanket Flowers are drought tolerant and do not like wet feet from soggy soil. 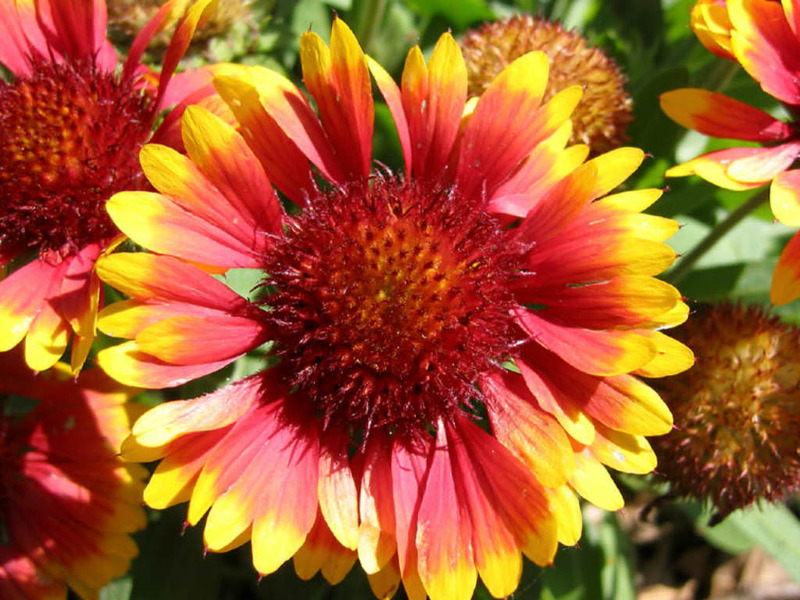 Growing Blanket Flowers can naturalize in a meadow or field adding hues of color. 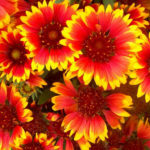 Easy care of Blanket Flowers makes them an ideal specimen for many landscape uses… – See more at: How to Grow and Care for Blanket Flowers. Native to Central United States.